Clear Mountain Bank celebrated the opening of its new White Oaks branch office with a ribbon-cutting ceremony on Thursday, November 15th. In attendance for the ribbon-cutting were dignitaries Bridgeport Mayor Andy Lang; Woody Thrasher, chairman of the board for The Thrasher Group; Amy Wilson, executive director of Harrison County Economic Development Corporation; and John Wilson, Bridgeport City Council. The bank made a donation in the amount of $500 to the Bridgeport High School Key Club for their philanthropy of Boxing It Up to Give Thanks, who provides thanksgiving meals to people who need assistance in Bridgeport and Clarksburg. Clear Mountain Bank’s new office provides a full array of financial services for both personal and business banking, including checking, savings, business and personal loans, mortgages, credit cards and investment products. The new 3,300 square-foot facility provides many new and modern amenities. Included are an open lobby concept with a free-standing two-station teller pod to improve efficiency, a smart deposit intelligent ATM, secure self-serve safe deposit boxes, a tech bar, five banking offices, a meeting room, and two drive-thru lanes. The building was designed with a modern architecture and boasts a glass entry tower which incorporates specialty color-adjustable LED lighting. The tech bar enables customers to interact with the bank online through one of two tablets. Customers can access the bank’s online banking system to check balances, pay bills, view statements, order checks, learn about Clear Mountain Bank’s consumer and business banking products, and access the bank’s full website. The new office is located at 15 Sweetbrier Lane in the White Oaks section of Bridgeport. 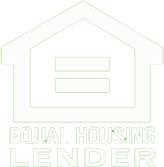 This event marks the 13th branch office for Clear Mountain Bank. 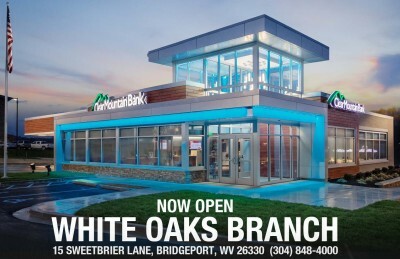 Clear Mountain Bank also has five branch offices in Morgantown, five branches in Preston County and one in Oakland, MD.